Consistent, complete billing is important for facilities that depend on the revenue from insurance billing—getting it wrong may be costly and wasteful. 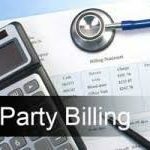 Outsourcing your billing can help you ensure that it is done correctly and that you are paid on time and completely for the Client care you provide. Third-party billing can also help reduce paperwork around your office and office space, ensure that specialists are assisting with your billing, and can help reduce or prevent billing and authorization errors. It may be more affordable for you to outsource your billing, because you can avoid hiring in-house staff. This can save personnel costs such as pay, benefits, and training expenses. You would not have to supervise anyone, either. If you have office assistants at your clinic, they can fulfill other responsibilities instead of working on billing. This can reduce your overhead and help free up financial resources for other aspects of your clinic’s operations. Lucrative Consulting can provide you with ongoing reports. 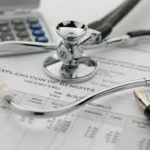 This way, you can know more about how successful the business side of your treatment center is and what, if anything, you need to do in order to make your billing process more successful. This can help you avoid micromanaging your office employees. Instead, you can request a quick report on your billing and check up on how that side of your business is going. Hello and thank you for visiting our site! We would like to introduce Lucrative consulting! We are not just another billing company, Lucrative Consulting offers Qualified & Ethical services at reasonable rates! Tired of high billing costs? Tired of the lack of communication between your team and your UR specialists? Are you or someone you know looking for a good ethical billing company to help you bring in your revenue? Look no further, we are here to help you grow! Our qualified team will give you the personal attention you need to continue insurance coverage for your clients continuum of care, while your staff are treating Individuals and helping them heal. Our licensed and experienced clinical team can help maximize your patients’ benefits by obtaining maximum stays based on clinical data and best practice at the highest levels of care.